This fabric sofa is perfect for those looking to upgrade their living room. The wide armrests and chrome legs deliver a soft modern aesthetic that creates a welcoming environment you and your guests will love. Wide padded arms, supportive cushions, and upholstered in a soft touch chenille fabric, this sofa is a product of thoughtful uncompromising design. Bring home the perfect sofa and create the home you've always wanted. This contemporary sofa from CorLiving celebrates style and comfort in a modern design. This finely upholstered sofa delivers reliability through the durably crafted wood frame. Generous foam and fiber batting cushion provides the ultimate in comfort. The contemporary metal legs gives the sofa grounded stability and the padded, slightly angled backrest makes it a treat to lean back and relax in style. 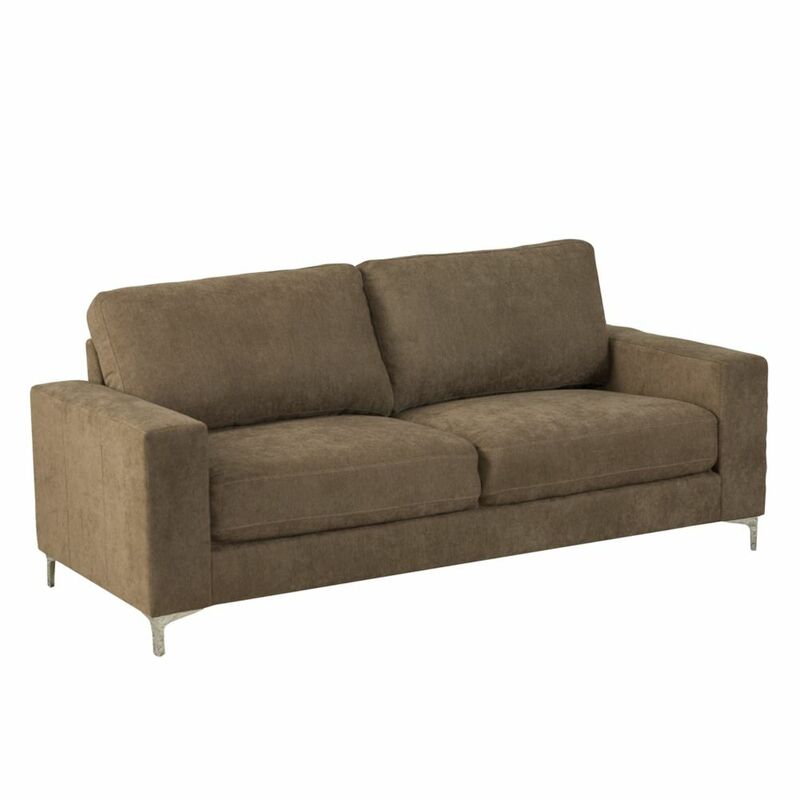 The removable backrest allows this sofa to be more easily moved through door frames. A contemporary recliner celebrates style and comfort with a modern design. This finely upholstered sofa features a quality crafted wood and metal frame, metal hardware, and plush foam and fiber cushioning. Relax in comfort in this electronically controlled power sofa with reclining seats on each side conveniently enhanced with a USB port for all your devices. The low profile legs and durable metal hardware give the chair a solid stability for years to come. The tall, slightly angled backrest is padded with deluxe cushioning, and comes with a flip-down center console tray with cup holders making it a treat to lean back and relax in style. Cory Brown Chenille Fabric Sofa This fabric sofa is perfect for those looking to upgrade their living room. The wide armrests and chrome legs deliver a soft modern aesthetic that creates a welcoming environment you and your guests will love. Wide padded arms, supportive cushions, and upholstered in a soft touch chenille fabric, this sofa is a product of thoughtful uncompromising design. Bring home the perfect sofa and create the home you've always wanted.